A natural language agent that fulfills tasks on behalf of the user. What a great idea! If you were wondering what Microsoft’s response would be to the next-generation, conversational Google Assistant that debuted at Google I/O, a job posting may have revealed it: Bing Concierge. ZDNet’s Mary Jo Foley unearthed a job posting for what Microsoft calls the Bing Concierge Bot, a natural language agent that fulfills tasks on behalf of the user. But while Assistant appears to restrict itself to the Android platform, Microsoft seems to believe Bing Concierge could run on any number of instant-messenger platforms. “In Bing Concierge Bot... we are building a highly intelligent productivity agent that communicates with the user over a conversation platform, such as Skype, Messenger, SMS, WhatsApp, Telegram, etc.,” the job listing reads. Why this matters: Just as Google moves on from Google Now, Microsoft appears to be evolving beyond Cortana. Right now, it seems like Google wants its Google Assistant to be the single approach to conversational interaction with machine intelligence, using Android smartphones and cool consumer devices like Google Home. Microsoft, meanwhile, intends to publish bots wherever it can, mirroring its philosophy of pushing its services onto competing platforms like Android and iOS. Both Google Now and Cortana began as somewhat more intelligent incarnations of their respective search technologies: You asked a question (“Who was the first president?”) and received an answer back. Over time, both started showing “cards” containing the answer, rather than launching a standard web search. Both assistants also began learning context and different phrasing, so they understood that the “first president” being asked about referred to the United States, not France. 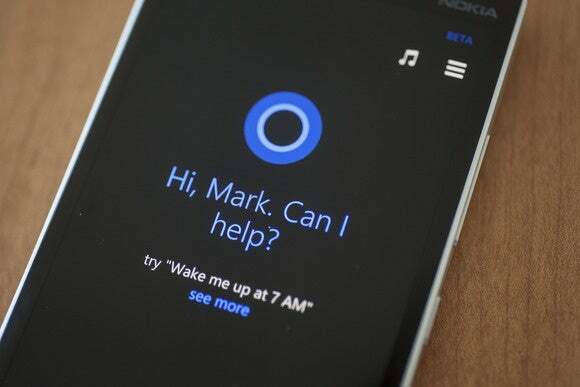 Cortana evolved from an assistant who offered to help to one takes on more responsibility. Now, the state of the art has moved to a give-and-take between user and assistant. In the Assistant examples Google showed, the user asked for movies and Assistant suggested some nearby showings. Then the user told Assistant that he wanted to bring his kids. Assistant suggested some new, different movies, and proactively asked if the user wanted to book tickets for four. Microsoft appears to have the same intentions in mind. 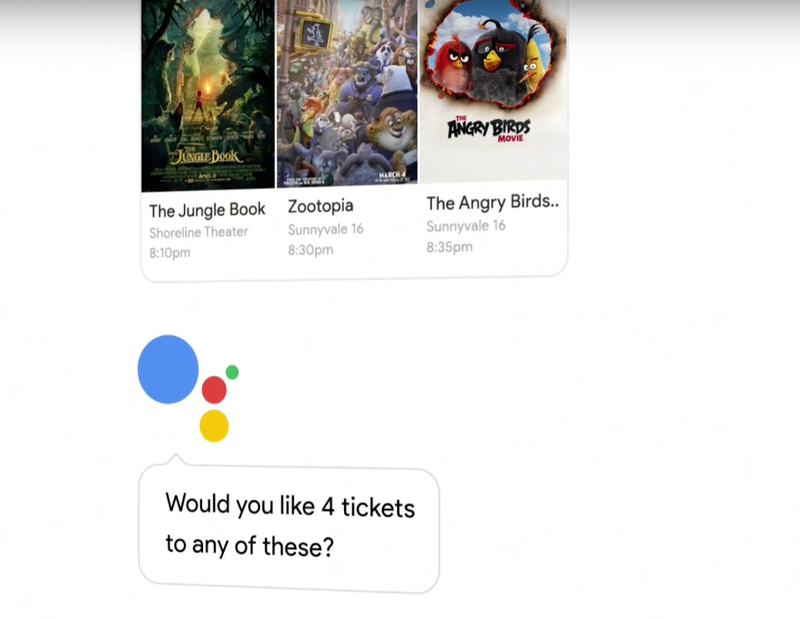 Google Assistant now proactively suggests actions, such as booking a movie reservation. Bing Concierge will do the same, according to Microsoft’s job listing. Microsoft said the group will develop the agent from end to end, so the applicant (for a software engineering position) would have the opportunity to work on bot platforms, dialog modeling, and even credit-card payments. Microsoft notoriously tried—and failed—to launch a chatbot on Twitter, though that effort, Tay.ai, was aimed at simply learning how to speak in the Millennial patois. (It ended up learning about much, much more, including racist sentiments from the darker corners of the Internet, and was eventually pulled. 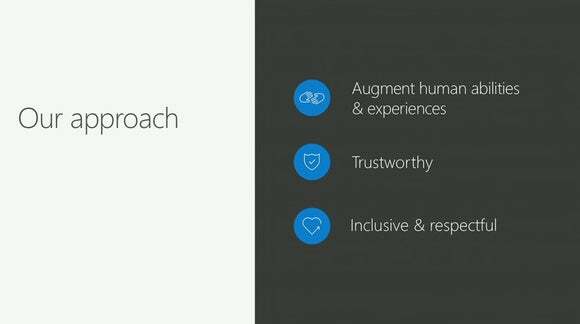 At its Build conference, however, Microsoft launched the Bot Framework, part of the “conversations as a platform” initiative that chief executive Satya Nadella pushed as part of Microsoft’s evolution. Derrick Connell, the corporate vice president of Bing, told IDG News Service that he foresees a future in which there are tons of bots for different applications. In his view, businesses will want bots representing them to give them access to customers who are discussing decisions they’re about to make. Microsoft also showed off a few basic bots, including a BuildBot that answered basic questions about the conference.